Is your house in distress? Perhaps a better question is, are YOU in distress? It can be hard to know the difference. At Reddtrow, we are real estate problem solvers with real estate solutions for your individual situation. It is our goal to help people with distressed properties or those who are facing any kind of situational distress. Tell us about your situation no matter how dire, or how tight the timeline might look. 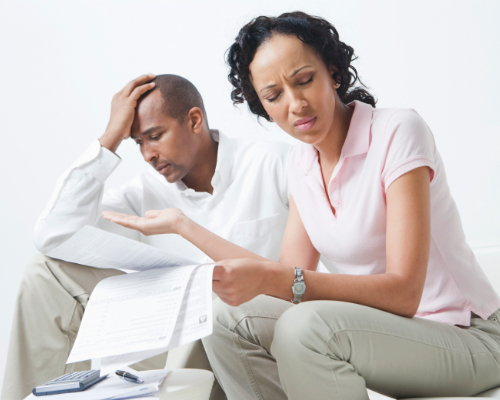 Let us tell you about some of our experience with distressed property and situations that cause distress. Property distress can mean a lot of things. Most of the time property distress is actual physical distress, like a house that has fallen behind on regular maintenance and repairs. That could be anything from tall grass or a yearly HVAC tune-up to major issues like a slab leak, foundation repair or a leaky roof. Perhaps your house doesn’t really look distressed from the outside. But on the inside, maybe the property layout is functionally obsolete. Small rooms, odd placement or living spaces that just aren’t functional anymore can hamper your ability to sell the property on your own. A physically distressed property could also be a property that is currently vacant, or one that has been abandoned for a long time and is now suffering the consequences. When a house is not used for a period of time, it doesn’t have normal air flow. There also isn’t anyone around to notice any leaks that suddenly pop up or see bugs getting in! 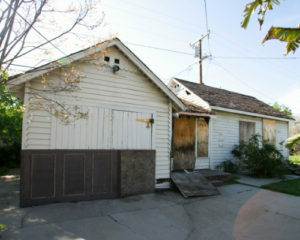 Abandoned houses can also have issues like mold, leaks, and infestations but it can be hard to tell. While title issues aren’t problems with the physical property, we consider them property distress because they hold up the sale of your home. Some title issue examples: can’t find heirs to the property, can’t get mortgage payoff because mortgage company went out of business, liens on the house are higher than the market value (by the way, certain liens can be negotiated for pennies on the dollar), etc. Title issues like these are difficult to navigate on your own, essentially you’re stuck with a house until they can be resolved. In cases like these you need to work with someone who has a team of experienced real estate problem solvers that can resolve these issues. A distressed property is also related to situational distress. This type of personal distress is when a circumstance in your life is causing you pain or hardship where a house is part of or a contributing factor to that distress. People in situations like these are facing some kind of deadline, so selling the home on the open market may not be the best option. It can take a long time to sell and close when you’re trying to find a buyer. That’s time you might not have if your bank account is running low, the divorce proceedings have been finalized, or someone has poor health or recently passed. If getting rid of your house will help solve your difficult circumstances, we can make it happen. We specialize in helping people in difficult situations like these. If you’re facing any kind of distress and selling your home FAST for cash would relieve a huge burden for you, we can help. Not only can Reddtrow buy house house for all cash in as-is condition, we also have resources to help you with your situation. Check out our blog for personal accounts of real homeowners in situational distress, or with a distressed property on their hands. We helped them get out of their situation and get CASH for their property.